The Children’s Museum Guild’s Haunted House Cursed Castle. Hear ye, hear ye! 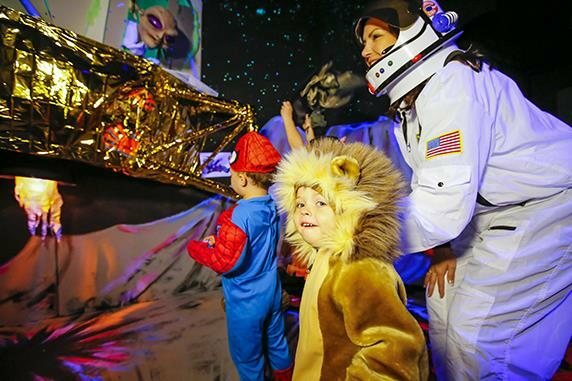 Storm the castle and raid the village on a journey through Cursed Castle, The Children’s Museum Guild’s 53rd Annual Haunted House. Enter Burnadette the Dragon’s castle with caution! Through the centuries, many knights and princesses have failed to break the dragon’s curse. The Haunted House offers IPL’s Lights-On Hours (for children who scare easily) and Frightening Hours (with the lights off, for children who dare to be scared).